And the answer, “Where you left it,” though satisfying to say, is not helpful. I am a firm believer that I, as the mom, should not be the one responsible for locating all my children’s things. However, that hasn’t been the case. Somehow, without me ever signing up for it, I became The Finder. It wasn’t a big deal when the boys were younger. I was happy to be The Finder when they didn’t have as much to find and remember, but as the boys get older that is changing. Rapidly. Therefore, I have been inspired to take certain steps towards relinquishing my title as The Finder. I am not alone in my quest to get my family organized and running smoothly. 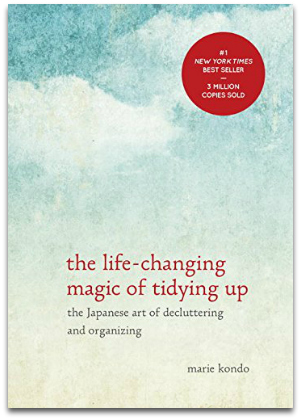 There is a reason The Container Store makes over $750 million each year and Marie Kondo’s 2014 book The Life Changing Magic of Tidying Up was #1 on the New York Times bestseller list and has sold more than 3 million copies. All of us fight to stay organized on a daily basis for many reasons. Educators cite being organized as the key to academic success, especially in college. Being organized not only leads to higher test scores, it also results in more on time assignments and lower stress. Being organized doesn’t only help stress levels in school. A disorganized home or office has also been found to contribute to increased stress levels. Chronically high levels of stress can lead to depression, fatigue, fights, and lower productivity. Living in disorganized chaos can also lead to fractured home lives as well. People have admitted to researchers they will choose to work late to avoid going home and into an environment of chaos. And I, for one, have occasionally felt more than a little resentful towards my family when I think I am alone in the struggle to keep the household and its members organized. I am not doing my family or myself any favors by being The Finder and sorting through the jumbles of assignments, due dates, and appointments and making everything ready for the morning. My children need to learn how to be organized themselves. Not just so they make it out the door to school in time, but so they can succeed throughout their lives. Editor’s Note: Like the idea of raising responsible, independent kids? Then click hereto join us! We’ll even get you started with our FREE mini-course How to Be a Positive Parent. So, how do I get my children to be organized? Here are 4 things you can do to raise an organized child. An environment that feels organized, where things have assigned places to live and are easy to see, will help you on the path to raising a child who is organized. When I needed inspiration on what an organized environment for kids looked like I turned to Montessori. The Montessori classroom is a calm and inviting place to learn. That is because it is a vision of carefully planned order and organization. Lesson tasks are laid out on trays and sit on clean, uncluttered shelves. Each tray has a place that it lives. The student takes the tray, does the work, and then returns the tray. The space between each tray allows the children to see what is really there. They don’t become so overwhelmed by “stuff” that they block out the overwhelming visual stimuli and see “nothing.” Plus it’s easy to remember where the tray lives and that makes it easier for the kids to take control of staying organized. Another thing Montessori classrooms do is to rotate materials in and out of the classroom on a weekly or monthly basis. Not having every single toy out and available cuts down on that cluttered feeling and has the added benefit of keeping them from getting bored with the materials. Then I bought one of those great Ikea bin holders for the toys. However, I wasn’t really getting the kids to use it like I wanted them to. I was frustrated. But just when this bin idea seemed doomed to fail my friend, Audra, gave me a great idea. In her home she took pictures of the items that should live in the bin and stuck them on the ends. Even her little boy who couldn’t read yet would know where things should go. As they have gotten older they are bringing home more papers and have started collecting mementos. About midway through the first semester of school I reassess our organizational needs and priorities. Slowly, I am modifying the space and bringing in new items that will keep the toy and homework areas from becoming lost in a blizzard of papers. Together, my husband, my sons, and I have built a strong morning routine and an after school routine. We used active listening to develop a list of things they needed each day and a flow that felt natural to everyone. As a result, they have their backpacks filled up of everything they will need for school by the time they leave. Now, lest you think they are doing this unprompted, I have to tell you — I’m right there listing things off behind them. Do you have a water bottle? What day is it at school? Is anything special going on today? Library? PE? Music? Do you need anything for that? Now that Henry is clever little reader I have a written checklist posted for them to follow. And, one day, I will be able to sit and drink my coffee before it gets cold as they make their way out the door without my prompting. Building a routine is important for teaching kids how to be organized. No one is born with built-in organization skills. The neural pathways necessary to be an organized person develop slowly and over time. We have to practice routines and teach our kids techniques to help them to start thinking in a linear and organized fashion. A good routine reduces the amount of thinking necessary and makes being organized feel natural. This is especially important for middle school students, who are suddenly faced with more work and more responsibility and, therefore, need to be more organized. Technology is a wonderful thing. It can bring any information we need right to the tips of our fingers almost the instant we need it. And I don’t mean only electronic gadgets; I also mean good old-fashioned paper. Then combine the two to make your own visual code. Things like the morning checklist I mentioned above can help keep you ordered at home. (I remember my own mom posting a Bedtime List next to the sink in the bathroom.) You can combine some electronic technology with the morning list by taking a picture of his backpack with everything he needs packed ready to go. This can help your child develop a visual memory of what “everything” really looks like. A homework planner that travels between school and home in a homework folder can keep assignments and other important dates from slipping through the cracks. It can also help direct discussions about priorities between the two of you. Evan and I use what he’s written down to guide a planning session to set up expectations for the week. Another great visual tool to help kids get organized is to color-code things by subject or due date. The NEA recommends using colorful folders, bins, and highlighters as additional visual cues for strategizing and planning. I love using color and beautiful objects to help me want to stay organized. I just feel good using my planner with cherry blossoms on the cover. I’m not alone. Montessori schools have found that children prefer to use pretty or visually pleasing items over plain ones. Bring your children with you to an organizing store so you can buy not only what you think they need, but also what they will love to use. Responsibility is an earned gift. We bestow it upon our children after careful deliberation and then help them learn how to master it. Let them be responsible for their homework, or their laundry, or their snack. Give them the tools they need to succeed and guide them in finding techniques that work for them. And then here’s the big leap: Let them face the consequences for not being organized. How many of us have been late for our own work because our child has called us in a panic because they forgot something? Count me among those running a forgotten library bag to school. Sure, this kind of sacrifice makes us heroes, but what have we taught our kids about being responsible? To help them learn why responsibility is so important we have to let them fail. Failure isn’t nice. It doesn’t feel good. And it’s not supposed to. At a primal level, failure hurts to ensure we do everything we can so we don’t feel that hurt. But failure is necessary in order to learn some of life’s basic lessons. When they do experience failure, help them walk through what happened and how they can improve for the next time. Teaching organizational skills is a process. It’s not something you go through once and then expect them to just “get it.” Analyzing the times they succeed and the times they didn’t do so well will help fine-tune their organization system until it is the perfect system for them. And then you, too, will get to drink your cup of coffee while it’s still hot. How organized are your children and other family members right now? What areas do you feel need to be more organized? What tools do you have in place right now that are working to keep your family organized? What areas of the household and daily life would you like to be more organized? And by whom? Starting making a plan for the habitat. What needs to be organized? Where should they live? What organizing tools will help you achieve organization? What Time Dependent Routines can you build to help control the chaos and create organization? Especially during the busy transitions times like before and after school? What kinds of visual codes can you design to ensure success? What colors speak to you and your family? How do your children respond to checklists? Consider if an electronic or paper organizer is right for you and your child’s style of living. Work with your child to create a system that works for them. Then start handing over the responsibility to them. Let them face the consequences for not being organized and help them process their failures so they learn how to succeed the next time. LOL! What great timing! I would love to hear more about how this new system is working for your daughter and how your son’s system differs for his needs! My daughter is 14, and mostly has a thousand little things, but I showed her how all the little things arranged in pretty bottles or in cute clear boxes can be arranged so the things are protected and look nice and she can actually find them. She tends to stuff old letters and cords to devices in ugly torn cardboard packages that look like garbage, so just replacing those with boxes she likes to look at helped. The big thing was setting up a wall box and a nightstand of the stuff she likes and can never find near her bed–there is a cute can of pencils, a bunny lamp, a basket for crochet projects, etc. All her necklaces are now hung on a board we made together, so they are off the floor and where she can see them. It’s really good! My son is in a funk about having to clean and won’t answer questions about what would make it better. A few pretty boxes aren’t going to solve it for him. He’s a puzzle because the tips in this article don’t apply the way they do to my other kids, so I will have to go way outside of the organizational box. Here are my suggestions: For a kid that doesn’t like to clean I would work on making things incredibly easy for him. Keep clutter and mementos to a minimum and make sure that his closet/wardrobe has shelves and plenty of hanging space. Have boxes for keep-sakes and file box for his papers. Keep the room simple and minimalist with a lot of rotating of toys and other objects. Good luck! That’s what we’re doing, but it’s slow going. I’m just amazed at his inability to see anything or take any initiative. I have to point to each googly eye, each bottle cap, each valentine…. And then he slowly puts it somewhere. He is at least finally open to the idea of sorting the toys out of the bins (that aren’t working) into boxes and getting shelves for them so they are easier to access. He is just really resistant to change and doesn’t want to part with anything, but my hope is if we can at least get everything straightened out we can do a light clean once a week and get him into better habits. I tend to be hands off with my kids’ rooms because it’s their space, not mine, and as a creative person I understand there can be important clutter. My rule is as long as there isn’t a hazard (there must be a clear path to the door, etc.) I will not try to control it. But then there are exceptions (like this week) where we have to prepare for guests staying with them in those rooms, so I dive in. Thanks for the followup suggestions! Interesting discussion here, Korinthia and Malinda. What works for me and my daughter are (a) lots of shelves with bins to stuff things in quickly (I don’t care what gets stuffed where as long as it is out of sight when we have guests, and she doesn’t expect me to find them for her) (b) a separate closet for more easily organizer stuff like bead boxes, rainbow loom stuff, board games etc. and (c) some simple rules like “one toy/project has to be cleaned up before starting the second” (in case of things like board games, playdoh, pretend play etc) or “a project can stay around for only a week or so unplayed before it needs to be cleaned up” (in case of legos, cardboard box “forts” and other longer crafty stuff). I love the “semi-permanent exhibit of dress up dolls”! I recommend getting a picture, because that kind of stuff is hilarious and sweet and you never know the last day that exhibit will be up and you will miss it. My kids have set up so many incredibly weird “displays” over the years, and I’m glad I got a couple of shots of the really elaborate ones. I also have some incriminating “before” pictures of their rooms at their worst so when they grow up and wonder why I was ever so fussy with them about it from time to time I can pull out the photos and say “LOOK!” and they will know. I also have pictures of their rooms the way I think they should look when they are clean so there isn’t a question about my expectations. If tell them to clean it to match the picture then there is less room for interpretation. Funny you should mention taking pictures, Korinthia. I’ve been kicking myself a lot lately that I don’t take very many pictures of my daughter or maintain a journal. And the realization has been creeping on me that my daughter is growing up and so many of her baby antics and goofiness is lost forever… And somehow, in my misery, I forget that I can still do it now and not lose at least some of the current memories!!! Good luck with organizing Quinn’s room! I’m so glad my parents don’t have abundant evidence of all my charms as a child. Love the idea of the whiny voice keepsake! Could make a hilarious ringtone when she’s 30. I had to chuckle at the part about leaving the homework at home. I had this almost identical conversation with my son when he left a toy at home for their “free-play” day. I really like how you make the conversation more positive to teach a lesson. Being a teacher, I whole-heartedly agree with the fact that organization increases the student’s chance of success. I teach 12 year olds and really try to instill this in them throughout the year. Thanks for the great article! So excited that I stumbled on this blog. Thanks, Heather! I try to keep it positive for him because he has a tendency to become very emotional (hello, tweens) and blow up if he feels like I am blaming him. You have my total admiration for teaching 12 year olds. Can you share what you do in the classroom to help teach them organization and logical thinking? We use a coil-bound monthly calendar where the students write down their assignments and due dates for each class. I teach them to look ahead in their planner each week to see what is “coming up”. I also use a countdown in the classroom on my board so they know exactly how many days they have until an assignment is due. Kids at this age are definitely “out-of-sight, out-of-mind”, so I have to teach them tricks to keep things on the forefront of their minds. As far as organization of paperwork, you’ll always have those students who are naturally organized and those who will shove it in their backpack and hope for the best. I have learned over the years that students who are disorganized don’t do so well with binders. They don’t want to take the extra step to put their work into the rings, so I use one plastic folder in their backpack for any work or letters that need to be completed at home and brought back. The folder makes it easy for a simple “bring back/leave at home” system. In my classroom, I use another plastic folder with a composition notebook inside. I do not let the students take their “work in progress” folder home at all. I have used this system the last few years, and it has worked wonders on the amount of extra copies I have to make. Since I teach English/Reading, the students keep all their writing and notes in their composition notebook and copies of the stories we read all inside their classroom folder. Teaching organization and logical thinking is tricky at this age because that part of their brain is not fully developed in most. We do what we can to put systems in place to make it easier for them and teach them the skills to be successful.